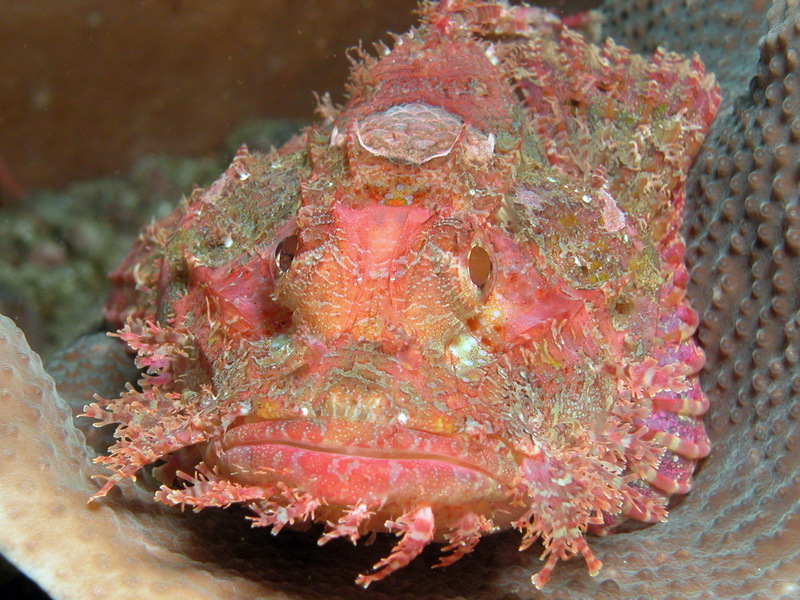 A comparison of the stonefish (Synanceia verrucosa and Synanceia horrida) with the false stonefish (Scorpaenopsis diabolus) and other scorpionfish. 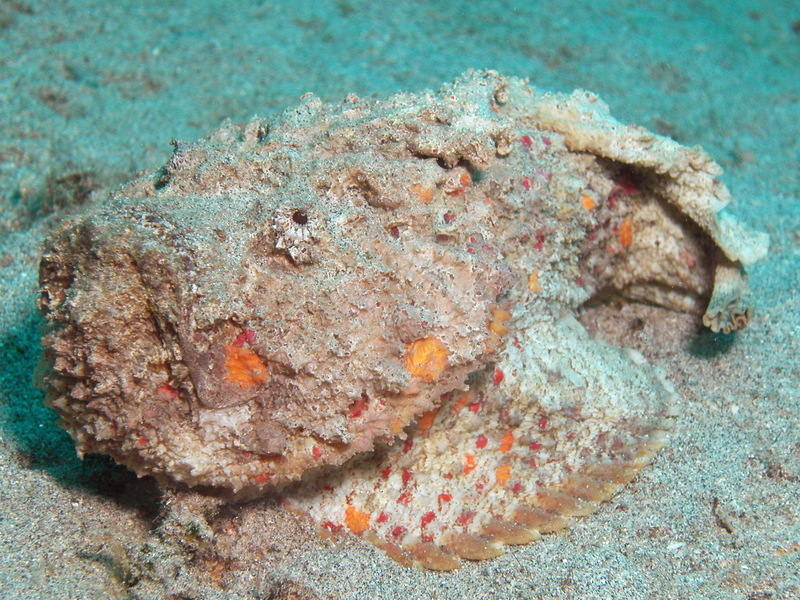 The real as well as the false stonefish are very well camouflaged as shown in these photos. 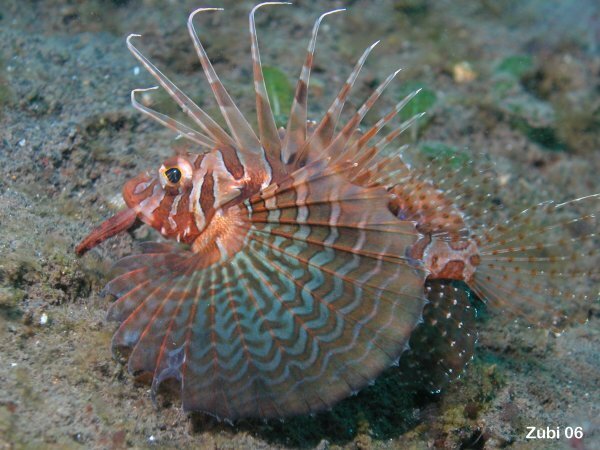 The main difference is the shape of the mouth and the tail. 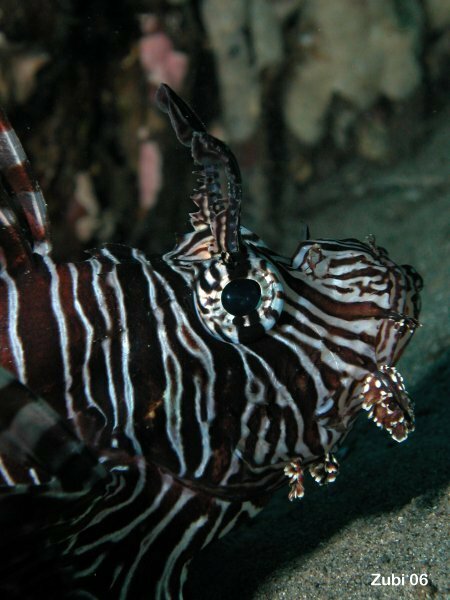 Their spines of all species of the Scorpaenidae are very poisonous. 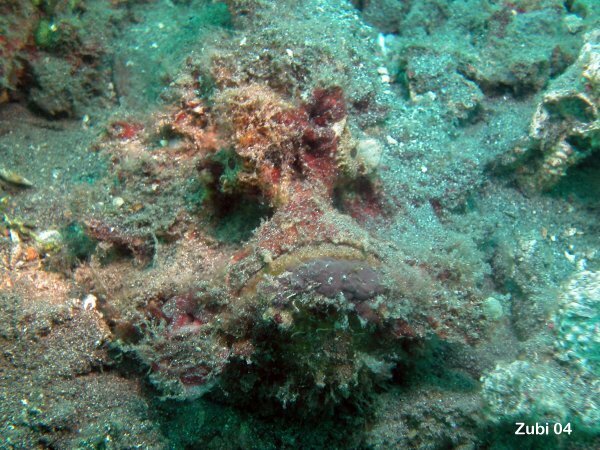 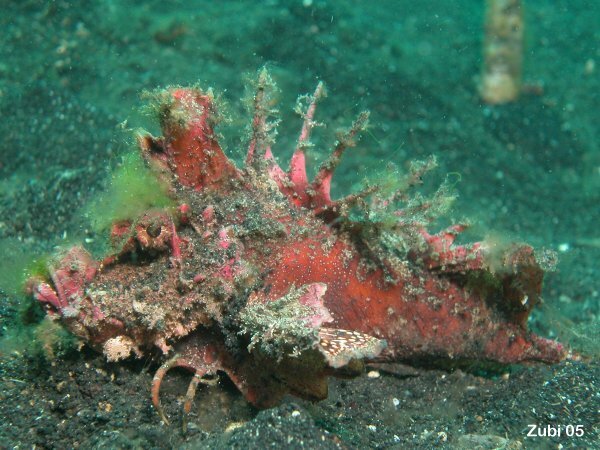 As seen on this photo, scorpionfish are not always well camoflaged. 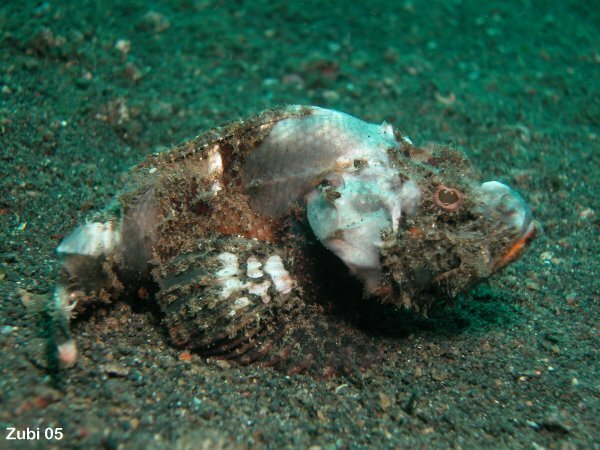 This white devil scorpionfish lives on black sand (on Negros, Philippines). 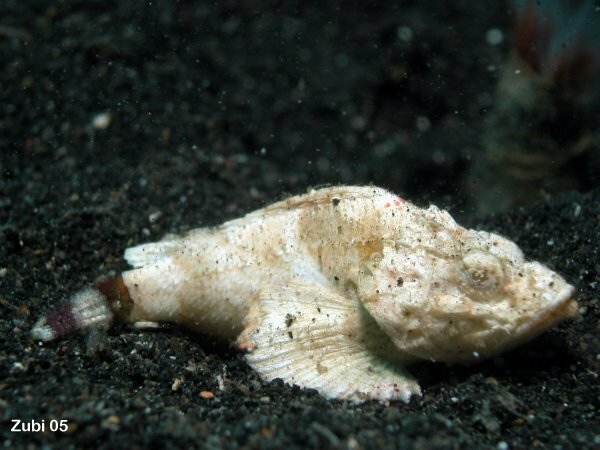 This animal is not a albino, please notice the tail.